My special order with Spite and Malice Wigs came in and look at Vejii-chan now! 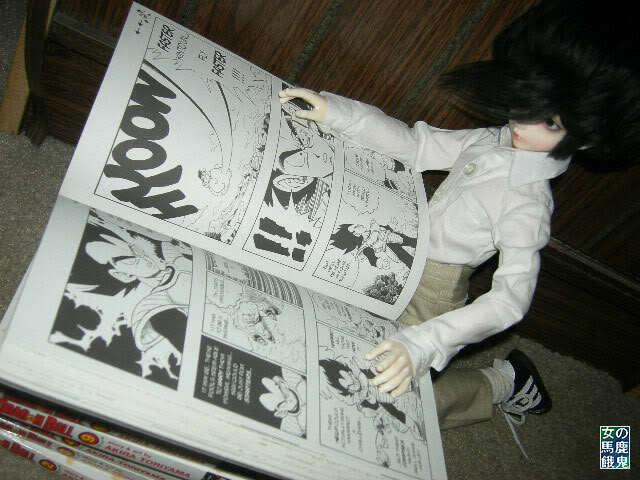 Vejii-chan reads about his future in a DBZ manga. This wig rocks indeed and he looks great in it!!! Thanks! I'm really pleased with how it looks on him!